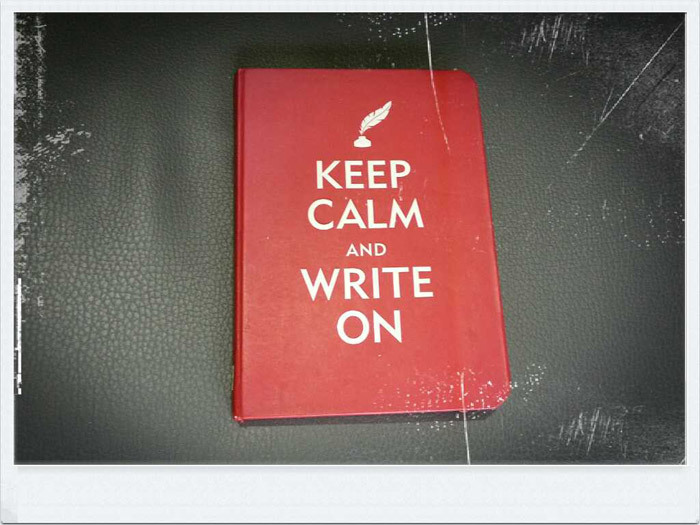 In 2014’s Christmas, my housemate in Malaysia gave me a red journal because he knows that I love writing. I didn’t know what to do with it then. But when I’m back in Singapore, I started using it as a gratitude journal. Every morning, I list down at least three things which I am grateful for. Some people like to write their gratitude journal at the end of the day. I prefer to write it at the start of my day. I don’t want to wait till I achieve something during the day before I could be grateful. I want to start with gratitude. After a year of writing, I’ve completed the red journal. I thought it would be fun to read through and compile a list of things that I am grateful for. Most of the things people have on their gratitude lists are external and tangible. I realized my gratitude list consists of things which are more internal and intangible. I guess I’m more grateful for stuff that I wasn’t able to see so easily. Anyway, I hope my list would inspire you to start your own gratitude list or journal! Here’s my gratitude list of 100 things to be thankful for. 1. Having a contract job. I’m grateful that my ex-company gave me the opportunity to help them with their system. 2. Knocking off at work at 5.30pm Knocking off work on time is something to be grateful for. Don’t you think so? 3. Challenges at work. They allowed me to exercise my creativity and problem-solving skills. 4. Being jobless. I realized I can survive without a 9-5 job. Ironic, isn’t it? I am grateful for both having and not having a job. This shows that you can be grateful in any circumstances! 5. The opportunities to test a lot of different jobs. Accounting, animation, systems, and teaching — I had done it all. I’m thankful that I get to test and find out which job suits me the most. 6. Being lost. It helped me to stop and reflect on my future, rather than just working hard blindly. 7. Rejections. Being told by one of the interviewers to go back and be an accountant was one of the turning points in my career. I realized I’m not what employers are looking for. And employers aren’t what I’m looking for. I have to be my own boss. 8. Freedom and autonomy. As a private tutor, I get to plan my lessons, select my students and decide my schedule. 9. The opportunities to help people. Regardless if I’m working as a tutor, a writer or a system consultant, I always find it meaningful when I can help others, especially if it involves bringing out human potential. 10. Having time to write in the morning. I used to wake up at 6 am to write before work. Now that I’m a tutor, my lessons only start in the late afternoon, so I’ve plenty of time to write. I never take these beautiful mornings for granted. 11. Having lots of ideas. Even though I don’t get to implement all my creative ideas, I’m grateful to receive them. 12. Dreams, hopes, and possibilities. 13. The lessons I learn from challenges and failures. I learned to have higher standards, say no to others and communicate with others based on their preferred styles. 14. Receiving income. No matter how big or small the amount is. 15. Being conscious of my spending pattern. I tend to save regularly but spend all of it on something expensive. After I let go of my desire to acquire things, knowledge, and experiences, I hardly have the urge to spend any more. 16. Knowing that I don’t need approvals to do anything. I realized when I shared my ideas with my brother and mentor, I was actually seeking their approval instead of asking them for opinions. Usually, I already had a vision, but I was just too afraid to implement it. 17. Knowing what subjects to teach. Specializing in teaching maths and accounting helps me decide on my assignments easier. 18. Role models. I’m grateful that I don’t have to reinvent the wheel. I could see what other people have done and just built on what they had left off. 19. Realignment to self. When I was reviewing my gratitude journal, I realized I was trying to find an identity with my job. The truth is I don’t need one. “Tutor” and “writer” are only terms I used for communicating to others with ease. They don’t tell others who I am and what I do. Read Eckhart Tolle’s A New Earth. 20. Free books to read. I’m grateful that there all so many libraries in Singapore and they are all so accessible. For someone who loves to read and learn, this is gold. 21. Books and authors that inspire me. There are so many good authors and books out there that I only discovered at the beginning of this year. For example, The Shift by Dr. Wayne Dyer changes my life is a whole new direction. Thank those people who had given me inspiring books to read. 23. Free information and resources online. We are so fortunate to live in this era where information is free and available easily. I learn how to code at Codecademy, more about my personality as an INFJ and how to teach accounting and dyslexia students through YouTube videos. 24. Paid workshops and programs. Last year, I get to go to Tony Robbins‘ live seminar in Singapore, entrepreneur incubator, iLab, in Bali and others. Learn a lot and meet new people from these workshops. 25. Different industry knowledge. I am grateful that experts from different fields (tech, animation, entrepreneur, health, self-publishing) are so open to sharing their experiences and knowledge. I love the variety and I learned so much from the different industries. 26. Different cognitive functions. Knowing more about which cognitive functions I prefer to use as an INFJ help me avoid blind spots. Even though I don’t use my sensing function often, it’s not something I should neglect. Each of the cognitive functions plays a part. 27. Free government funds to learn. Singapore has this new movement, SkillsFuture, that encourages Singaporeans to learn. We are given S$500 credit to learn on 1st Jan 2016. How exciting! 28. Compulsory education. Some of my younger students always complain why they have to study. But they don’t realize how fortunate we are as Singaporean to be literate and that the education here is inexpensive. 29. Family for understanding my need for private space. I do shut my door very often, especially when I’m writing. It helps me write better. 30. Time with my family. Even though I’m quite an extreme introvert and this is very apparent at home more so than when I’m outside, but when it’s time to interact with others like my family, I do enjoy those moments of interaction. 31. Family for what they had done. Dad for helping me fixed things whenever things are spoilt. Mum for cooking for us and doing the housework. My brothers who helped me brainstorm ideas, solve my problems and design my book cover. 32. Meaningful conversations. I’m grateful when someone trusts me enough to share their personal problems with me. Not that I wish to be a dumping ground for other people’s problems. But I do enjoy having conversations that are deep, meaningful and personal. 33. Friends who are willing to listen patiently. I don’t always express my thoughts and feelings as fluently as I love to verbally. I appreciate friends who give me the chance to speak slowly or when I don’t have an answer. 34. Friends who carve out their time to meet up. Everyone is busy with their own lives. I appreciate those who are willing to spend their time to meet up. 35. Friends who invite me to outings. I’m usually not the one to ask people out because I spend a lot of my time doing stuff on my own things. But sometimes I do need to go out and meet some people. So I’m thankful for those who initiate meetups. 36. Friends who make the extra effort to plan gatherings. I usually have no idea where to go or what to do. So glad to have friends who decide on the venues, the activities and time. 37. Friends who taught me how to swim. I was in Bali and my friends were all very enthusiastic about helping me learn how to swim. They even encouraged me to snorkel in the ocean. 38. Making new, like-minded friends. Like I’ve said I made new friends going to Tony Anthony’s workshop and iLab in Bail. 39. Happy and welcoming children in Bali. They don’t know who we are but they are just so happy to see us. 40. Nice, sweet comments. In Bali, we did “Sugar Cubes”. We left “sweet” notes for each other. I’m also grateful for all the nice comments I received from this blog and my other support groups. 41. Weekly accountability partner discussion with my friend in the US. I enjoy talking to people from other countries. Even though we don’t meet anymore, I enjoyed the half an hour we spent each week on Skype discussing our businesses. 42. Lifehack and readers from this platform. Because of this blogging platform, I have thousands of people reading and sharing my writing. I am also grateful for the people who read my blog posts here. 43. My 500 words. My 500 words is a Facebook group set up by Jeff Goins, the author of You Are a Writer. That group has been extremely supportive and keep me accountable to writing daily. 44. People who purchased my books. I don’t know who you are, but thank you! 45. My first student. He was willing to give me a chance to teach him accounting even though I didn’t have any teaching experience. 46. Kind students and parents. My students for being so forgiving even though I don’t have all the answers to their questions. Also, students, parents, and friends for recommending me to other students. Someone asked if I was doing okay. 48. Volunteer work. From volunteering, I discovered how I like to help people — teaching. So I ended up giving tuition. 49. Working cooperatively with others. I went to an island-wide escape race with my younger brother. It was quite an experience. We both have our strengths and weaknesses, but we worked well together. Sometimes, you can’t do it all by yourself. 50. Acceptance from myself and others. Accepting my flaws and having others accept me for being different. 51. Recommendations and suggestions from others. I am grateful for people recommending me to editors and resources such as web hosting providers. And people online for suggesting titles, subtitles, and tweaks to my book cover. 52. People helping each other. I don’t have to be the one giving or receiving help. Just to see people helping each other out, isn’t that something to be grateful for? 53. Friendly and happy faces. One day, I went to the post office in my neighborhood. The two ladies at the reception were beaming and so helpful. Seeing them made me happy. How wonderful if everyone is so happy at work? 54. Living in Singapore. Freedom to move about on your own. The various public transports available in Singapore make it very convenient for individuals who don’t drive to travel around Singapore. 55. Sustainability efforts in Singapore. I didn’t know that Gardens by the Bay, a tourist attraction in Singapore, reuses natural resources like rain to sustain the place. I only knew when my US friend came to visit and I accompanied him to see the attraction. 56. Safety. It’s not something to be taken granted for. 57. Free wi-fi and fast, stable network. 58. Technology. I’m thankful to have a MacBook that allows me to edit video, and especially WordPress and Google Doc for saving my work! They saved me so many times when my Macbook went down. 59. Mosquito net. Without it, I won’t be able to sleep peacefully at night. 60. Food. Eating ice cream on a hot day. Drinking hot tea on a cold day. Food nourishes the body and serves other purposes too. I’m exceptionally thankful for the healthy food I received when I was in Bali. 61. TV programs that make me laugh. 62. Survivor. The TV show, Survivor, is my favorite TV show for many reasons. One of the reasons, it reminded how fortunate I am to have sunshine, food, and shelter. 63. Insightful movies. Inside Out taught me about my own emotions. Finding Dory taught me to forget about the past when dealing with a crisis. 64. Music. Listen to the opening track from the Broadway musical Waitress gave me energy. Thank you, Sara Bareilles, for writing all the beautiful music. 65. Freedom to do my own things. For example, write my book, sing a song or simply relax. I grateful that my work now allows me to have freedom. 66. Peaceful and quiet environment. For relaxation and writing. 67. Nature. Nature is beautiful. I couldn’t help but stopped and admired the beauty while I was climbing up Mt Batur. Seeing the beauty of the rain and trees swaying without resisting the wind, hearing the birds chirping outside my window… life can be so simple. 68. Having depression again. I am grateful because I could write about it and also it was part of my spiritual awakening. 69. Ted-talks by Brené Brown. They helped me uncovered the shame that was holding me back. 70. Courage to be vulnerable. A strength that many people deem to be a weakness. 71. Understanding emotions. Sometimes, we express or suppress our emotions without knowing what’s going on. I’m grateful to have more insights into emotions in general and my own emotions. 72. Recognizing my fears and limiting beliefs. It’s good to be aware that I have some more work to do on myself. 73. Being clearer about my personal boundaries. Knowing when I need to reject others and what my boundaries are helped me to be a healthy introvert. They tell me a lot about what I’m suppressing and stressing about subconsciously. 75. Sickness. It tells me that I needed rest. And when I was at Tony Robbin’s seminar, it helped me realize I can experience high energy just by changing my physiology. 76. Health and the body. I thankful that the body is a self-correct system. It has a way to correct the imbalance in our body. 77. The ability to let go. Every one of us has the ability to let go and be happy. I grateful to have done the Sedona Method course many years ago. I have listened to the recordings many times ever since to remind myself to let go. 78. Being aware of my ego. It’s good that I was able to see the times when I took things too personal or too attached to something. 79. Being aware that I had a choice. Every time I forget that I have the power to choose and remember again, I’m thankful for having this awareness. 80. My natural gifts. Being a polymath allows me to complete many things on my own. 81. Understanding the value of my gifts. Being empathetic is good when you know how to use it. It could help you to see other people’s perspectives or it could cause you to get affected by other people’s emotions. I’m thankful to have a better understanding of my gift. 82. My intuition. It helps me to see connection and pattern, and process information subconsciously. I just need to trust it and use it appropriately. 84. Being patient with myself. I appreciate the times when I was able to be patient even though I wasn’t able to do what I wanted to do as fast as I wanted to. 85. Realizations and insights. I am grateful for any a-ha moments, reminders and clarity I have about myself. 86. To be me. There’s no one else I wanted to be except me. I am grateful for self-love and self-acceptance. 87. Being. My whole life I have been trying to find myself. It’s good to know that all I have to do is to be. There’s no need to seek myself in things and others. I could feel whole and complete just by being. 88. Knowing my primary purpose. Eckhart Tolle said that our primary purpose is to do what I supposed to do now and be present. Everything else is secondary. I’m grateful to receive this wisdom from him. Read The Power of Nowor his ten best books. 89. Inner peace and harmony. This appears many times in my gratitude journal ever since I overcame depression. 90. Being able to get up and move. I love to sit and a lot of my work evolved me being sedentary. But I’m grateful that life give me the freedom to move about. 91. Sight. I’m grateful to open my two beautiful eyes in the morning to see the world. 92. Sleep. It helps me to reset my emotions. Every ending signifies a new beginning. 93. To be simply be at rest. Taking a day off. Having spaces in life. Not doing anything important. Not rushing to somewhere else. Just enjoying the current moment. How blissful is that. 94. Now. I’m very future-oriented. It’s good for planning and strategizing, but sometimes it also cause stress and worries. Being able to be in the present is calming. I love it. 95. Spiritual life. To appreciate a life beyond form is something to be grateful about. 96. To be alive! After all the illnesses I had when I was a kid, I’m still alive. I’m grateful that I’m still breathing, my heart is still beating and my blood is still flowing. Any time I feel stressed out, I remind myself to feel this aliveness in my body. 97. Given one more day on Earth. One day we will be leaving this place, so I’m grateful for my time on Earth. 98. Abundance. I’m grateful for the abundance of sunlight, water, air, wealth, love, beauty etc. 99. Co-creating with the Universe. I do my part and I leave the rest to the Universe like a flower growing in a garden. You water the plant. You give it good fertilizer. And the rest you leave it to the mystical force of the Universe to help it grow. 100. Love and peace in the world. Most are upset by the violence they see recently. But it’s a time to be grateful for the times where peace is here (which is most of the time). Rather than giving your attention to violence. Don’t take peace for granted. What Is Your List of Things to Be Thankful For? Above is the top 100 things I am grateful for in the past one year. What’s yours? Let me know. Write some of them down in the comment section below.